Create Your Own Structures - Scratch building made easier! ScaleModelPlans.com provides the bridge between 'scratch-built' and kit structures. 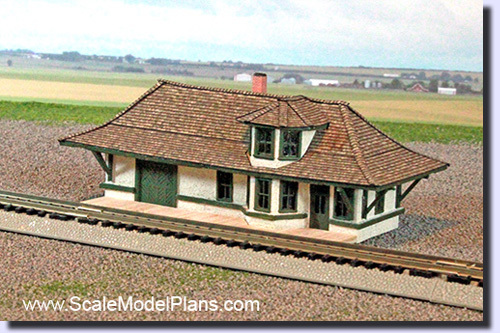 Our scaled plan sets include traceable patterns and templates, as well as a pictorial guide to help even a novice model builder create realistic scale model structures for a Model Railroad layout or diorama. All of our plans are ranked in one of three skill levels, (basic, moderate or advanced), to help you choose which plan to start with. - Build a scale model structure for a fraction of the cost of a kit! of building your own structures from scratch! your own level of difficulty - print in color directly to cardstock, or build from scratch in your choice of materials! Thinking of building a Kit? With just a few more steps than preparing and assembling a kit you can create your own structures from scratch for far less money. 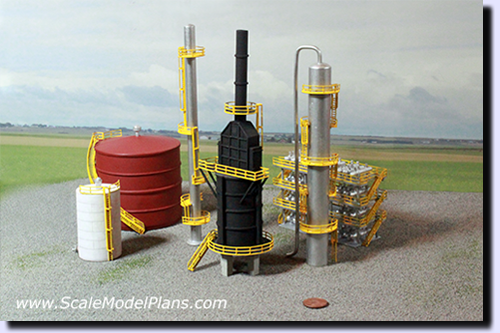 Most ScaleModelPlans.com Plan & Templates Packages also includes a FREE printable Cardstock version of the structure. See catalog page for details. 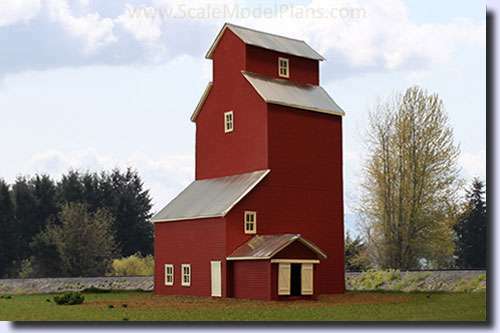 All Structure images on this site are photos of actual scale models. Instant Downloads! Place your order, pay securely with PayPal - even if you don't have a PayPal account. Download your plans immediately to get started on your next project! Plans are in PDF format and can be read and printed on PC or Mac computers. Visit our scale plans catalog pages to see dozens of plans available in several scales. Sorry, your browser doesn't support iframes. Try downloading the latest version. Building from scratch may be easier than you think. These are plans and not kits, so you are not paying extra for pre-cut materials, step by step instructions, or a detailed materials list. Instead, you get the details you need, the choice to use whatever building materials you choose, and the freedom to customize as you like. It's a simple as: Print to standard letter size paper, cut out the templates and trace onto balsa, basswood, styrene, foam board, or any other choice of hobby material. No calculations necessary - templates are scaled to proper size. Basic hand tools can produce incredible results. Specialty tools make the job easier, but you can go a long way with just a hobby knife, razor saw, and straight edge. Each scaled plan set, (unless otherwise noted), comes with a bonus ready to print cardstock version in addition to the regular plans. Cardstock printed structures have a unique appeal. They can be an inexpensive alternative to wood or plastic construction, and if you make a mistake you just print out another sheet. You can apply weathering techniques to greatly increase realism. A cardstock model also makes an excellent "mock-up" prior to scratch-building with other materials. Also available on request are WMF template files importable into Model Builder software. *This is subject to change. Click here for details. * Now included - 11 page Cardstock Modeling Guide as well as a 12 page generic Construction Guide! For the 'craftsman' who enjoys scratch building and wants more of a challenge, scaled plan packages include a set of scaled ‘blueprints’ for a true scratchbuilt structure using your choice of materials. Imperial measurements are provided, but since all plans are drawn actual size you can work in metric if you prefer. Request our Free Two-car Garage in N, HO, OO, O or G scale. If you have never built a model structure from scratch but would	like to give it a try, or if you want to try cardstock modeling this is a good first step. Or for only $3.95 you can get the Plan package for the NYLB Railroad freight shed in Matawan New Jersey. of N Scale 1:160, HO Scale 1:87, OO Scale 1:76, and O Scale 1:48 plans, templates, and Cardstock patterns, then click to download the printable PDF files so you can get started on your next project. Modelling in Z, TT, or S scales? 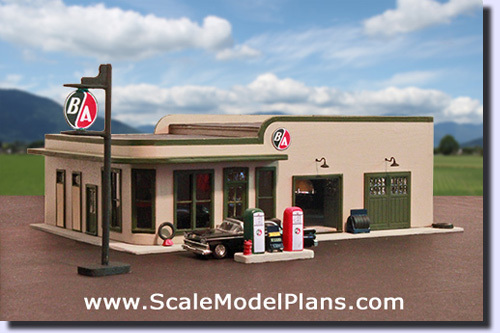 Visit our tutorial on Z Scale, TT Scale, S Scale and 1:10(RC) scale models. 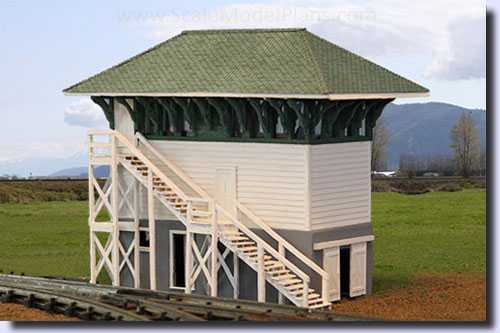 - Scale model plans for HO Scale, N Scale, OO and O Scale model railroad buildings and structures. 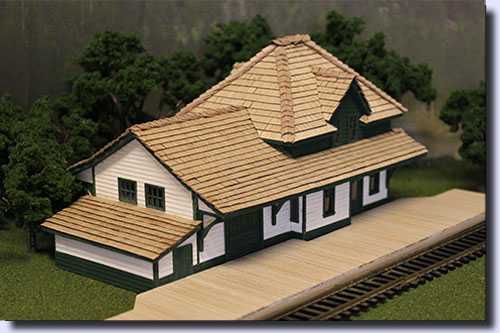 Create realistic, inexpensive scale model buildings for your model railroad layout, diorama, or toy train set. Build to accurate scale with Computer Aided Design miniature plans or simply cut out the traceable templates. As an added feature, you can print out color patterns to card stock to create paper models of buildings and structures. If 'kit-bashing' is more your style, try customizing, or combining patterns. Use up your left over model building supplies to create a unique scale model structure. 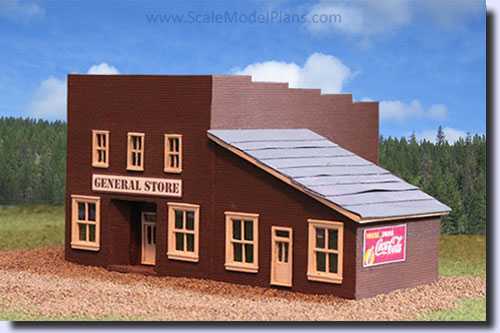 View our on-line catalog of HO Scale , N Scale, OO and O Scale plans to get started on your next building in scale project. Beginners Welcome!